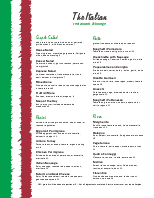 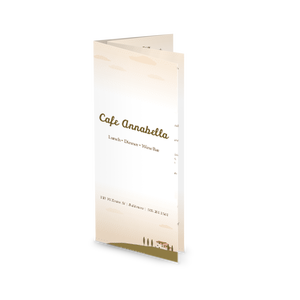 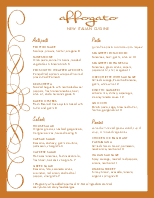 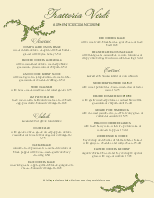 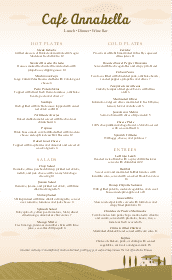 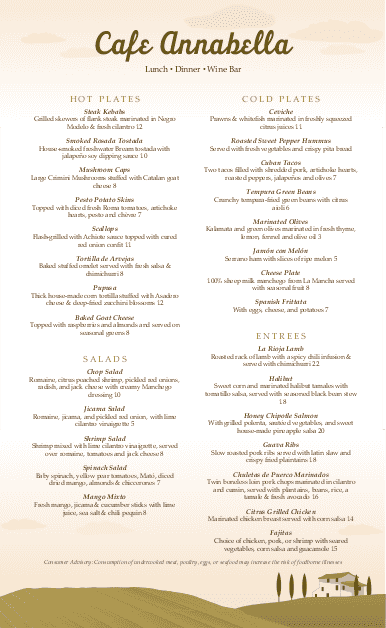 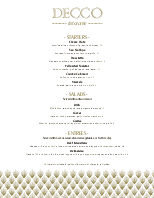 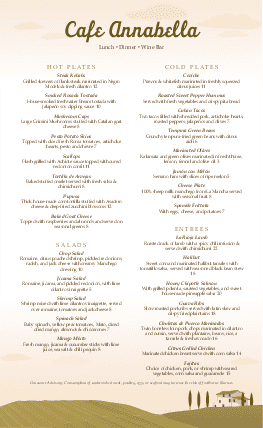 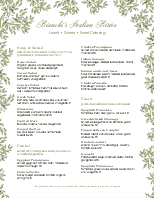 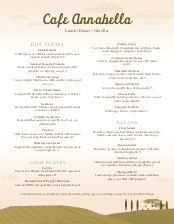 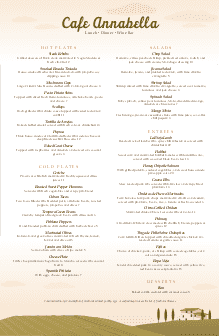 A subtle Tuscan landscape sets the stage for this legal-sized (8.5 x 14) Italian trattoria menu design. 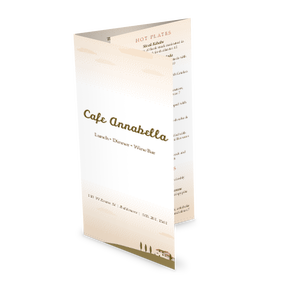 Two columns of pasta, antipasti, pizza, and panini rest against a rustic tan background, with the restaurant name in an elegant script font and a graphic view of a tuscan villa below. 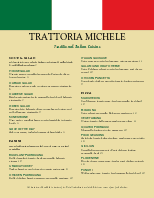 This Italian menu can be customized online.